Credit card and identity theft have been rampant these days. Fraudsters seem to be anywhere and is able to do something just to get someone else's money. It leaves a lot of people vulnerable to these perpetrators. The question is, how are we able to protect ourselves from them? 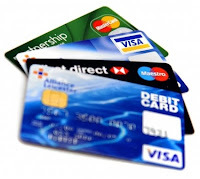 Credit card companies have set up fraud security to each of their clients' credit card. Although they are able to detect fraud, they won't be able to help prevent it from happening. In 2-3 years, it has been said that credit card issuers will replace single magnetic stripe credit and debit card with a new contactless smartcard. That will eliminate swiping of cards. It's what they call quick check outs wherein you just have to hold the card up to a scanner and it will take all your credit card information. It's easier and faster but it's also easier for your identity to get stolen. Worst is, these scanners can be bought anywhere even online. Identity Stronghold created this rfid wallet which is called Secure Sleeve to protect your credit card info stolen. Even if you don't take your card out of your wallet, you might wonder why all of a sudden there are fraud charges on your bill. It's because these scanners can penetrate credit card info even if it's kept in your wallet and purse. With the Secure Sleeve, it's like a firewall of your credit card that helps to not transmit your credit card info to a scanner. If you're a credit card holder, you better get one of these Secure Sleeve to protect your credit card and identity.